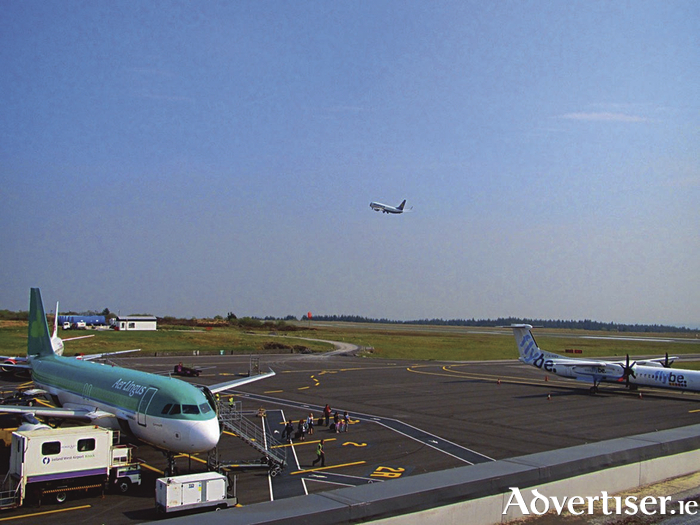 Galway County Councillors have agreed to the local authority taking an equity share in Ireland West Airport Knock, in an attempt to secure the future of the transport facility. The airport is owned by a trust but is operated by Connaught Airport Development Company (CADCO ). Last year a proposal was made by the company that seven local authorities in the west/north-west region would collectively invest €7.3 million in return for 17.5 per cent of equity in CADCO. The plan is that Mayo County Council will draw down a loan for the full €7.3 million and the annual repayments will be met by the seven local authorities. The purpose of the investment is to facilitate the development of the airport to grow passenger numbers from the current 700,000 to 1.3 million by 2023. The local authorities will be entitled to appoint one board member to CADCO and this position will rotate among the relevant chief executives. At Monday’s council meeting, it was agreed that Galway County Council will contribute €50,000 per year to the loan repayments for the next 30 years, comprising an investment of €1.5 million in total. The majority of local representatives were hugely in favour of the proposition, citing the many benefits of the airport to Galway and indeed the entire western region. Councillor Fahy also requested that a message be conveyed from the council that the airport be known as ‘Canon James Horan Ireland West Airport Knock’ so the name of the facility’s founder would live on. Officials agreed that this request would be communicated. Mayor of Galway Mary Hoade said it was an extremely important piece of infrastructure for promoting tourism and commercial activity and she would certainly be backing the plan. Cllr Hoade thought it would be a good idea if there was consideration given to setting up a bus link directly connecting Galway with the airport. The decision was voted upon and passed with 30 councillors in favour and four against. Galway City East - few signs of change? Page generated in 0.2372 seconds.